Remove the yolks from the whites, placing the yolks in a small bowl and the whites on a cutting board. 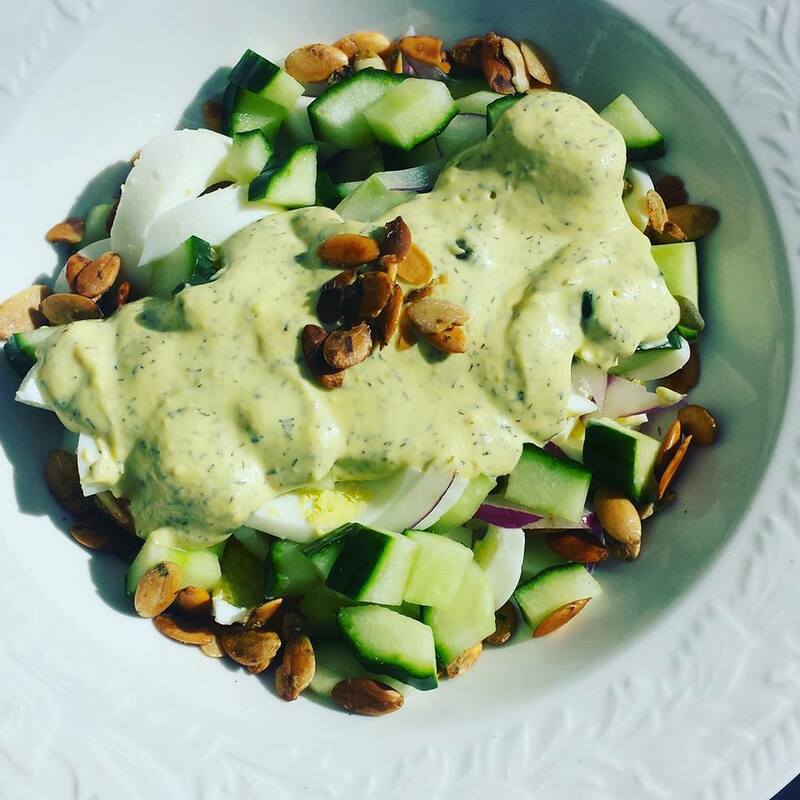 Add mustard, yogurt, dill, and garlic to the yolks and use a fork to mash everything together until smooth and the consistency of a creamy salad dressing. Chop the egg whites and cucumber. Place in a salad bowl. Drizzle dressing over the salad, garnish with pumpkin seeds. Oh, and I didn’t forget the salt and pepper, no salt and pepper needed for this one. If you need some meat to make it a meal you can add, ham, bacon, or sausage.